Another attempt in making a cake roll since my last one here which was a mango lemon cake roll! And I got to say I’m getting to it! At least the rolling part. 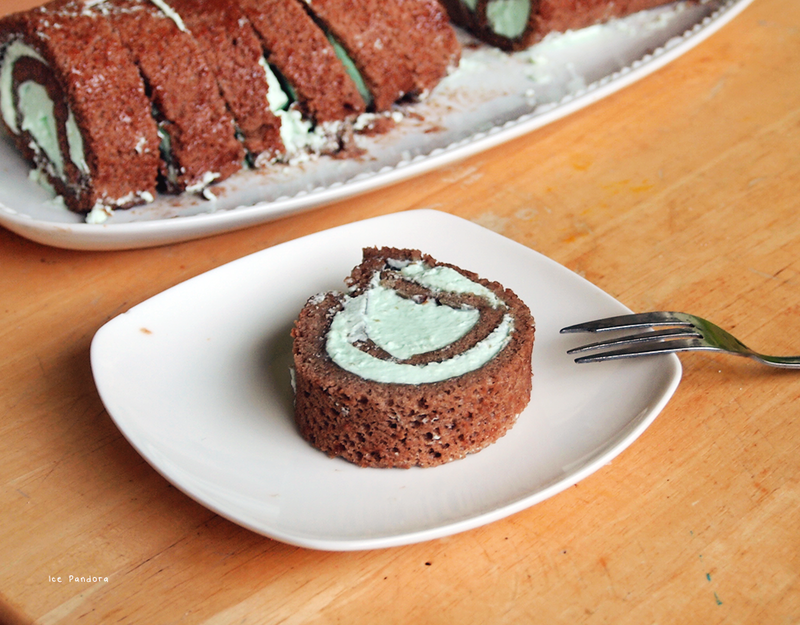 But I’m very happy with the outcome of my chocolate mint cake roll because not only it looked decent but it was also delicious! Please take a peek and try it out maybe someday! Alweer een poging in het maken van een cakerol sinds mijn laatste hier (mango citroen cake rol)! En ik moet zeggen dat ik aardig onder de knie te krijgen dat rolgedoe. En daarom ben ik zeer tevreden met het resultaat van mijn chocolade mint cakerol omdat het niet alleen fatsoenlijk uitziet, maar ook nog eens heerlijk eetbaar is! Neem een kijkje en probeer dit recept misschien op een dag! 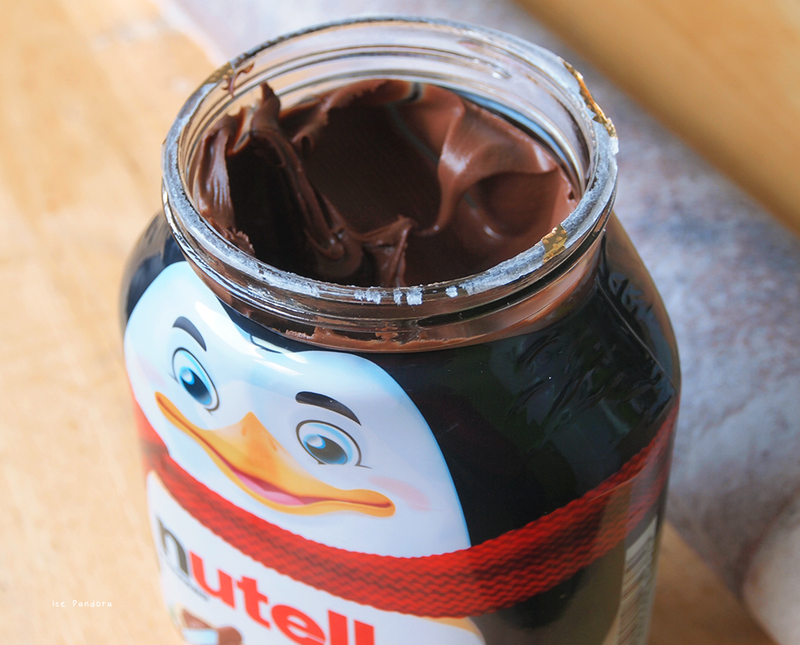 How can you not buy and love this Nutella?? 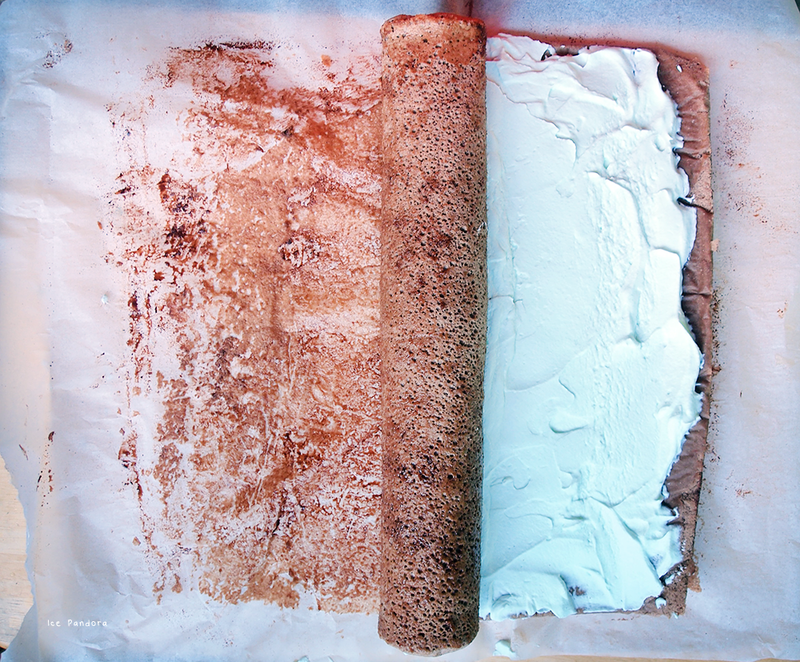 Pre-heat oven to 180°C and line up a rectangle cake tin with baking paper. In a large bowl goes the dry ingredients: combine together the flour, all the powders and salt and set aside. In another bowl: whisk egg yolks and sugar together until pal and creamy, stir in the milk and the 1 tbsp. Nutella until everything is combined. Then add in the dry ingredients in the egg mixture and fold until everything is combined. In a new clean bowl: whip the egg white until high peaks, then add ⅓ of the egg white in the egg batter, fold until combined then add in the rest! Pour the cake batter in the prepared and lined cake tin and bake for about 10-12 min. 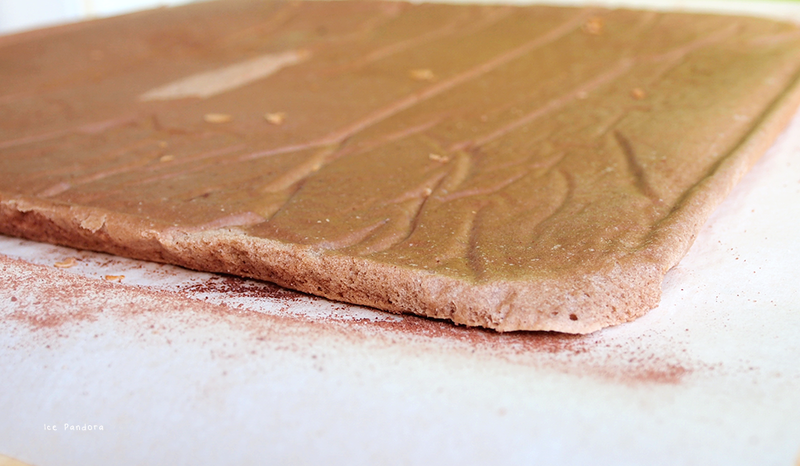 Meanwhile on a workspace: prepare a baking paper a bit larger than the cake tin and dust cacao powder on top. Once cake is baked, cool down for 5 min. in the cake tin and then drop the cake on the prepared bakingpaper with cacao powder. 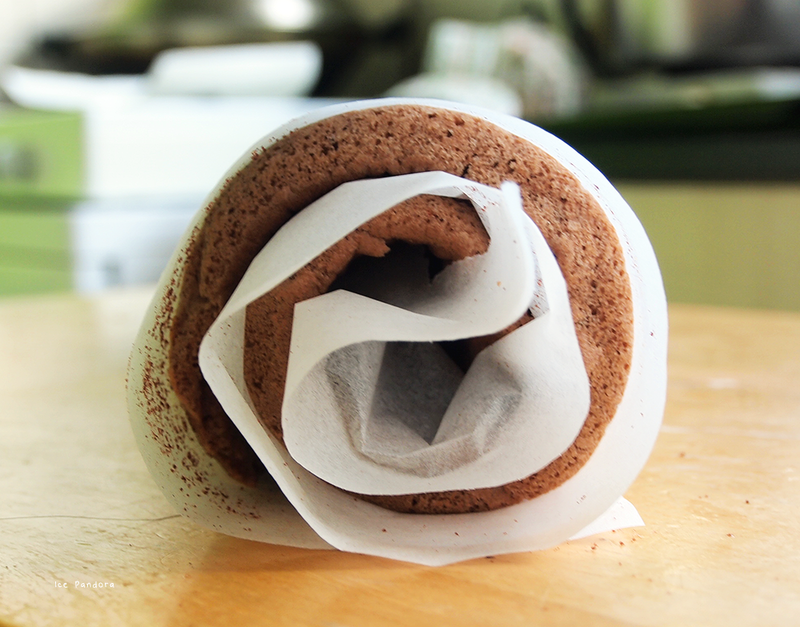 The rolling: Remove baking paper from the cake and roll the cake whilst still warm from the short side in a roulade and let the cake cool down completely in its rolled form. 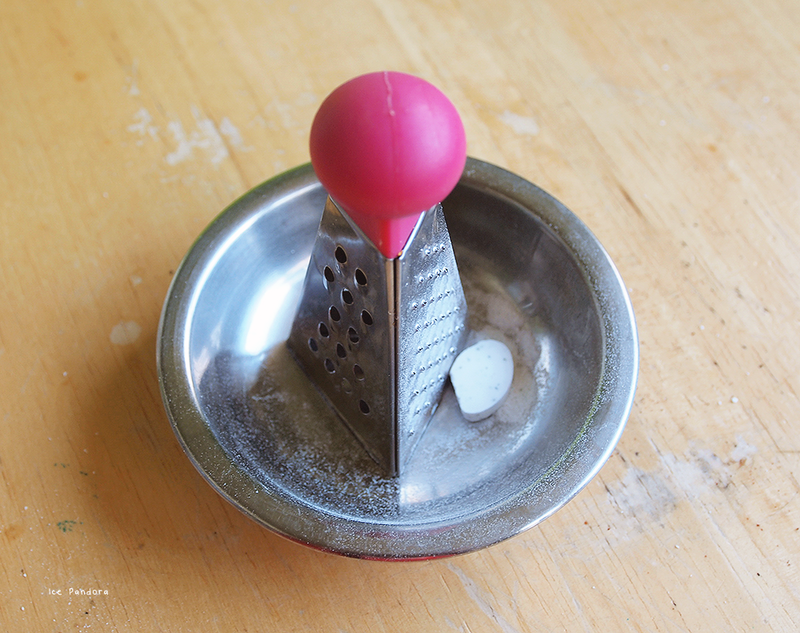 Mint filling time : grind the Fisherman's Friend with a grater until powder. 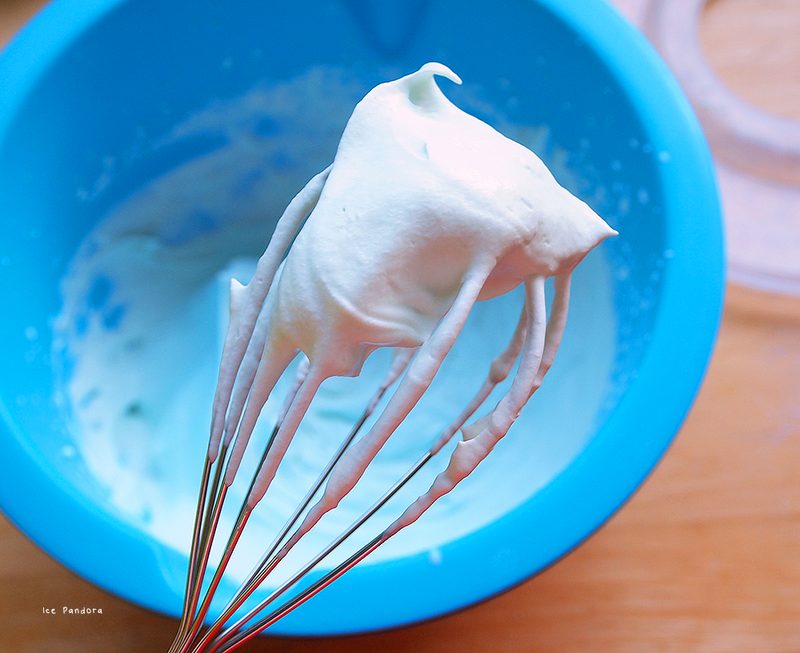 Whip the cream until medium stiff along with the FF powder and sugar. 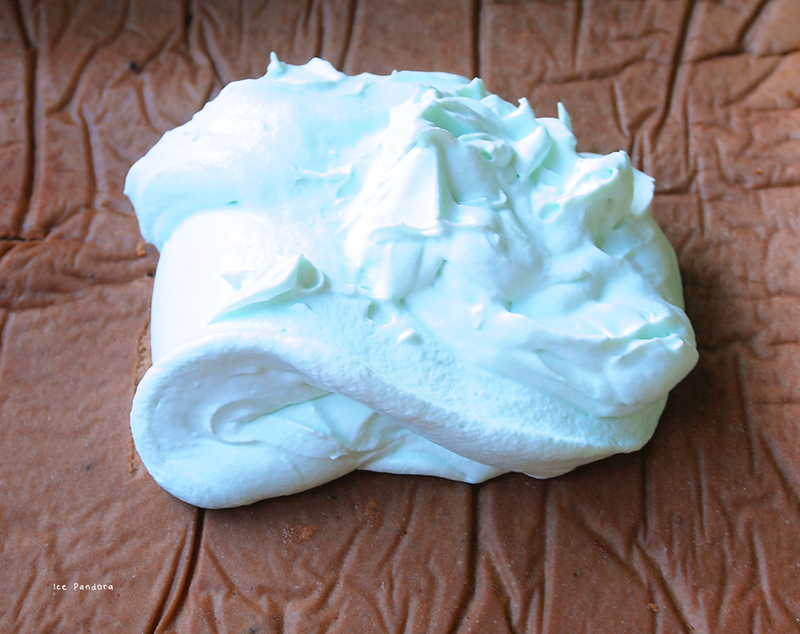 Unroll the cake and spread the filling evenly on the cake. Roll back the cake and store in the fridge until serve. That looks delicious and so pretty! Mm yum, this looks really good - I love chocolate and mint together! Oh yum - you're getting so good at this! I love nutella so much.i applied it in my wholemeal breads every morning for breakfast..i think nothing can beat the deliciousness of nutella chocolate! Wow, it looks perfect! You just get it right all the time! That looks amazing !!! I really want to try making that now last time I made a swiss roll it cracked when I rolled =[ but you have done it so well!! Looks delicious! Can never go wrong with mint & chocolate combination. This looks amazing! I may make one of these for a special occasion coming up soon! ^__^ Lovely recipe, thanks so much for sharing. It also seems versatile and easy to interchange or swap ingredients for different flavors, definitely saving this! 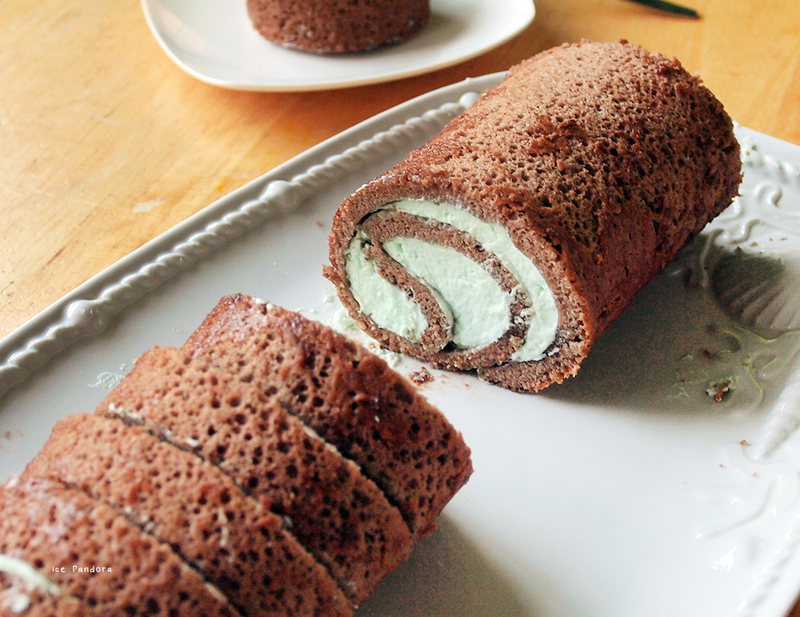 The chocolate mint swiss roll looks amazing! 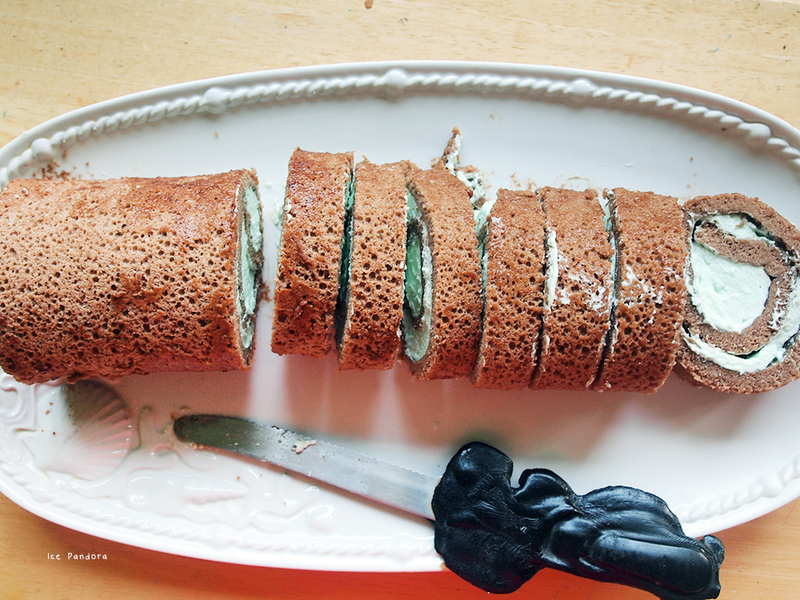 I love chocolate mint, and swiss rolls are so delicious: I can only imagine what this must taste like! I'll have to save the recipe for a day when I'm feeling more ambitious! Urrrrggghhhhhhh, dat is het geluid wat mijn maag net maakte toen ik deze post doorscrollde en het recept las. Die gif is trouwens echt briljant. Maakt het geheel nog aantrekkelijker. Omnomnommmm! Yumm! your roll seems so fluffy! I need to get asap my baking self back because it looks as my favorite type of cake, light, tasty and delicious!